Rabbi D.B. Ganz was born in Scranton, Pennsylvania. After graduating high school, he studied Talmud full time for 15 years at the Rabbinical Seminary of America (AKA Yeshiva Chofetz Chaim) in Queens, NY. From 1981 to 2001, he served as dean of the Hebrew Academy of Suffolk County, an Orthodox Jewish elementary school in Long Island, New York. 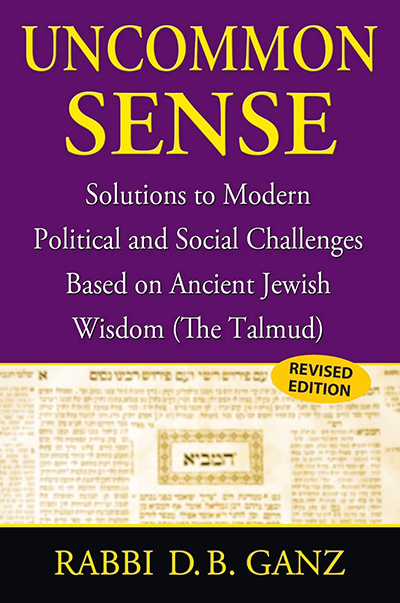 In 2001, Rabbi Ganz published Defining Humanity, a book on Talmudic ethical principles and human insights written primarily for the Orthodox Jewish reader. In 2006, Rabbi Ganz and his wife Rebecca moved to Cambridge, Massachusetts where they founded the Jewish Heritage Initiative of Cambridge (JHI). JHI promotes in-depth Talmud study among the local university students at Harvard and MIT.